rcc One way slab are thos supported continuously on two opposit sides so that loads are carried along the one direction only. 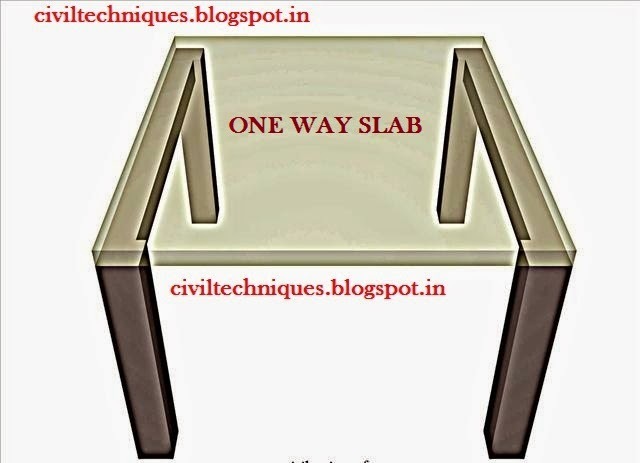 oneway slab are made to span in shorter direction. The main reinforcement is provided in the span direction and also provided in traverse direction to distribute any uneveness that occure in loading and for temprature and shrinkage effect in that direction and this reinforcement also called distribution steel. 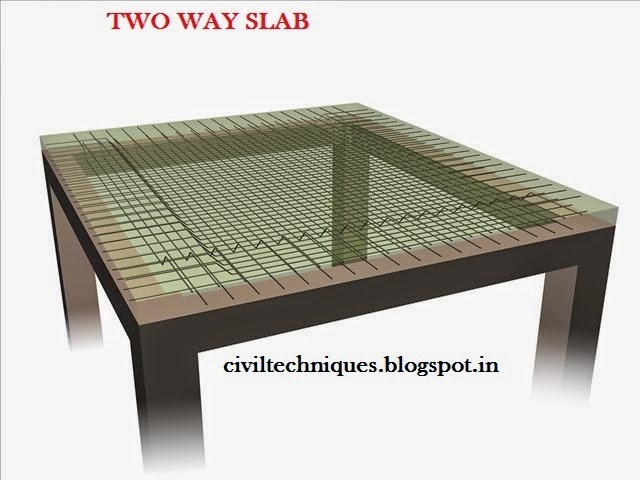 rcc Two way slab are thos that are supported continuously in all four direction. loads are carried out to support along both direction. these are supported on wall.